hd00:49The cat sleeps on the bench in the park on the sunny day. 4k00:21A ragdoll cat laying on brown leather chair and curiously shifting its sith left and right as it is following something. A cute domestic cat in 4k and shallow field of depth. hd00:15Cat observing through window with sun backlight. Camera slightly sliding from right to left with sun shines over cat head. Sunset light. 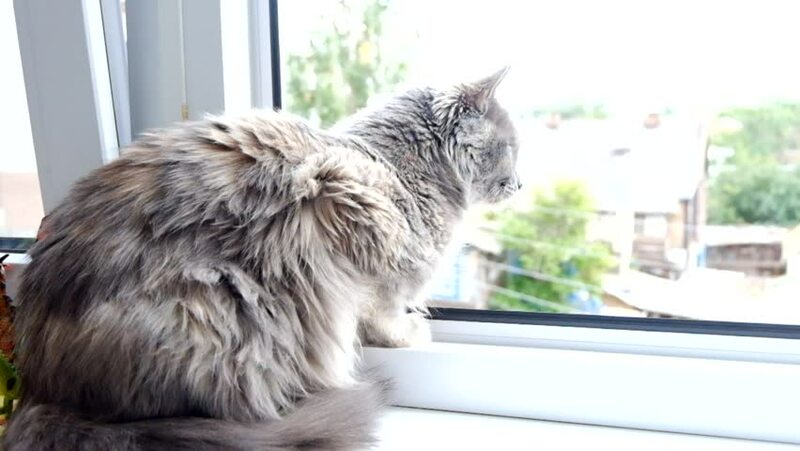 Kitten sitting on window shelf and watching nature.